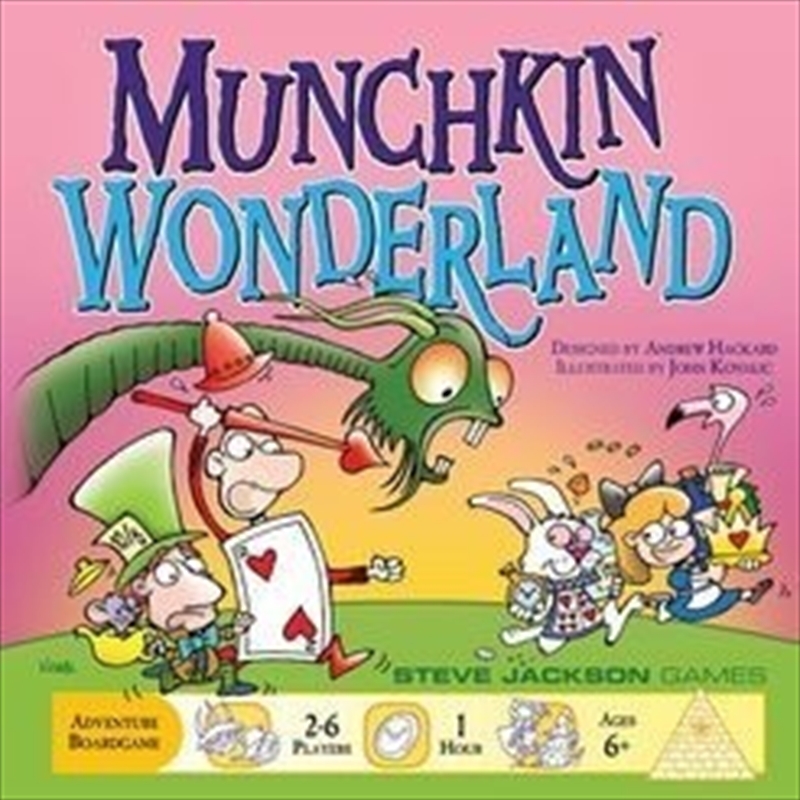 Munchkin Wonderland transports players to the iconic world of Lewis Carroll's Wonderland novels. Move around the illustrated game board. If you land on a monster like the Jabberwock or Cheshire Cat, beat it with a roll of the dice and Treasure cards like Six Impossible Things Before Breakfast, the Vorpal Blade, or Stolen Tarts! Maybe you'll even get help from the Caterpillar or Dormouse. When the deck of Treasure cards runs out, whoever has the most loot wins!